"Rembrandt: Britain's Discovery of the Master"
“Rembrandt: Britain's Discovery of the Master” at the Scottish National Gallery in Edinburgh looks at the impact of the legendary 17th century Dutch artist on Britain. Using works from its own collection as well as major works on loan from other museums, captured the imagination and inspired British collectors, artists and writers over the past 400 years. Rembrandt Harmenszoon van Rijn was born in 1632 in Leiden, then part of the Dutch Reoublic. He came from a propserous family. His father was a miller and his mother was a baker's daughter. He entered the University of Leiden at the age of 14 but soon left in order to pursue his interest in painting as an apprentice. His study of art also took him to Amsterdam briefly. However, unlike many of his contemporaries, he did not venture to Italy to study. After achieving some success in Leiden, Rembrandt moved to Amsterdam. It was the Dutch Golden Age and Amsterdam's properous merchants were eager to have their portaits done. 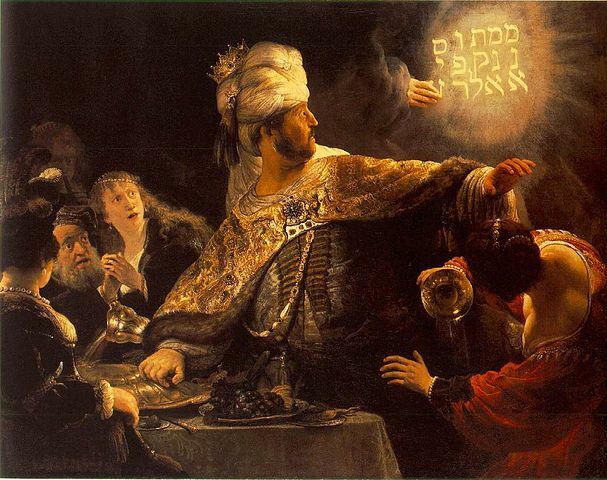 Rembrandt soon he established himself as one of the city's leading portrait painters. His large income enabled him to marry and to purchase a large house (now the Rembrandt House Museum). Unfortunately, Rembrandt's spending outpaced his income and he was forced to sell his extensive collection of art and antiquities and eventually his house. His personal life also deteriorated. Three of his four children died in infancy. His wife Saskia died. A subsequent affair with his son's nurse ended in a breach of promise lawsuit. His second wife predeceased him as did his son Titus. Rembrandt died in 1649 and was buired in an unmarked grave in Amsterdam. There is some controversy over whether Rembrandt ever visited Britain. The majority view seems to be that he never left the Dutch Republic. However, four drawings have survived which clearly depict various British landmarks including Windsor Castle. They are done in Rembrandt's style. However, opponents of the Rembrandt in Britain theory argue that they could have been done from prints or perhaps by one of Rembrandt's students. (The four drawings are part of the exhibition at the Scottish National Gallery). The first Rembrandt painting to reach Britain was a self-portrait that was presented to King Charles I before 1633. Although Charles was an enthusiastic art collector, the Rembrandt did not excite him and it was not until the next century that Rembrandt's paintings became popular in Britain. In the 18th century, a craze for Rembrandt's works gripped Britain. At first, the demand was for paintings. However, Rembrandt was also a prolific printmaker and his prints (and reproductions of his prints) enabled his works to be seen by a wider audience. The public art galleries that opened during the Victorian age brought Rembrandt to the attention of even more people. His reputation grew and Rembrandt was elevated to the pantheon of heroes. As the exhibition demonstrates with numerous examples, Rembrandt also inspired British artists. His portraits influenced Sir Joshua Reynolds and Sir Thomas Lawrence. His landscapes inspired Constable and Turner. He also inspired a later generation of modern artists. The reasons for Rembrandt's popularity are not complex. To begin, there is no one Rembrandt style of painting. His technique evolved over the course of his career from a very fine and smooth style to a loose, rough style that foreshadowed later art. He did not confine himself to one medium but did paintings, drawings and etchings. His subject matter included not only portraits but landscapes, genre scenes, and biblical subjects. There is a lot to Rembrandt. Perhaps his most moving series are his self-portraits. Rembrandt did some 40 self-portraits over his lifetime. As a result, one can seen him as the young star of the Dutch art world. Then you can see the effects of misfortune and tragedy in his face. Finally, at the end, he contemplates aging and approaching death. The Scottish National Galleries have done an excellent job in presenting the story of Rembrandt in Britain. Introductory videos place the story in context. Then in a series of galleries, the story unfolds illustrated by a combination of major works and rarities by Rembrandt as well as important works by some of the British artists he inspired. 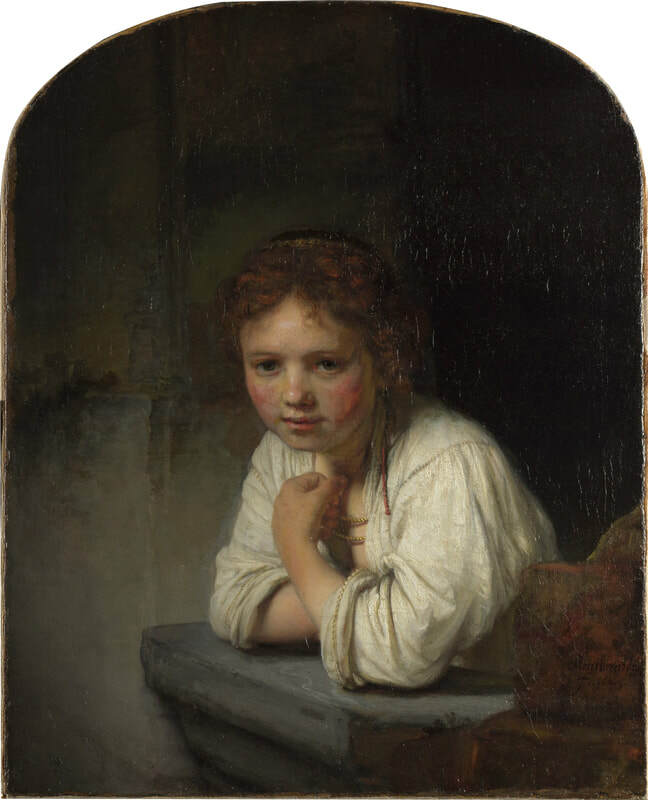 Visiting Scotland - Rembrandt's Feast" on loan from the National Gallery London and Rembrandt's "Girl at a Window" on loan from the Dulwich Picture Gallery. (Images public domain). 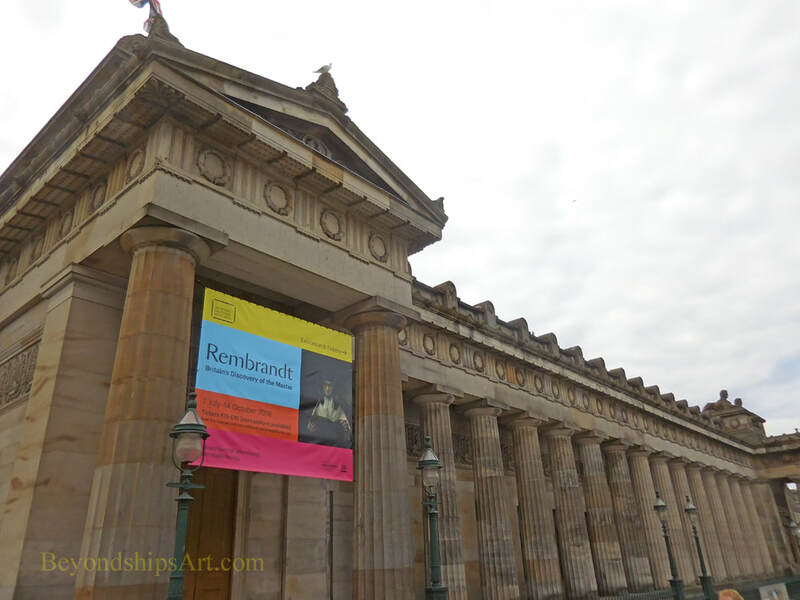 Art review - Scottish National Gallery - "Rembrandt: Britain's Discovery of the Master"